Mysteries on TV, your source for the most complete selection of detective, amateur sleuth, private investigator, and suspense television mystery series now available or coming soon to DVD, is profiling one series that has a season DVD being released this week, as well as a thrilling mini-series and a movie collection based on a weekly series. Police detective Ronnie Craven (Bob Peck) investigates the mysterious death of his own environmental activist daughter (Joanne Whalley) and becomes embroiled in a vast conspiracy within the nuclear industry in the suspenseful crime drama and political thriller Edge of Darkness. 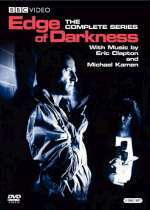 The Edge of Darkness: The Complete Series DVD set of 2 discs contains the complete 6-part miniseries that originally aired on BBC in 1985. A theatrical remake of the series starring Mel Gibson is currently in post-production, with a scheduled release date of January 29, 2010. The Mission: Impossible teams has some of its most exciting episodes in the seventh and final season of the series, which focuses primarily on targets outside the reach of conventional law enforcement in the US (namely organized crime). Jim Phelps (Peter Graves) returns as the leader of the IMF, which includes returning members Barney Collier (Greg Morris), Willie Armitage (Peter Lupus), and Lisa Casey (Lynda Day George). For several episodes this season, Casey was "on assignment" and replaced by Mimi Davis (Barbara Anderson). 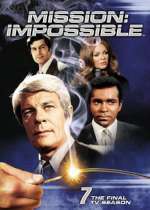 The Mission: Impossible: Season Seven DVD set of 6 discs contain the 22 episodes that aired on CBS from September 1972 through March 1973. There’s never been another TV detective quite like Jim Rockford (James Garner), whether he’s cruising in his classic Pontiac Firebird, cracking cases from his Malibu mobile home, or running with — and from — the law. 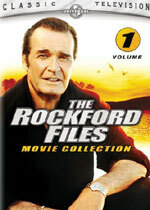 The iconic series The Rockford Files aired for 6 seasons on NBC from 1974 through 1980 and 14 years later, the wry P.I. with the ex-con past made a comeback with more action and clever plots in 8 entertaining made-for-television movies that aired from 1994 through 1999. The Rockford Files: The Movie Collection 1 DVD set of 2 discs contain the first 4 of these movies: I Still Love L.A. (from 1994), A Blessing in Disguise (1995), Godfather Knows Best (1996), and If the Frame Fits ... (1996). Games of Mystery, your source for mystery-themed electronic and board games, parties for kids and adults, and getaway vacations including murder mystery weekends, is pleased to announce the availability of several new mystery games for the Nintendo DS. More mystery games for this platforms are available on our recently updated Games of Mystery: Nintendo DS webpage. Based on the novel by Agatha Christie, The ABC Murders tells the story of Hercule Poirot and Captain Hastings as they attempt to solve a series of bizarre murders committed by an elusive madman. Poirot soon realizes a serial killer is on the loose, murdering his victims in alphabetical order, leaving an ABC Railway Guide beside each body and playing a dangerous game with the Belgian private detective. He alerts Poirot in advance of the locations of the murders, but Poirot always arrives too late. Intrigued by the psychopath’s mind and methodology, Poirot and Hastings follow the leads to Andover, Bexhill, Churston, and Doncaster trying to apprehend the killer before the next crime is committed. 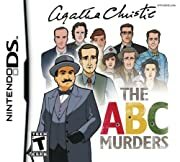 The ABC Murders (Nintendo DS) is scheduled for release November 4th and is available for pre-order. It is ESRB rated T for Teen. Sylvie, a young archaeologist, is about to begin the greatest adventure of her life in Chronicles of Mystery: Curse of the Ancient Temple. Having received an invitation to France from her uncle, a renowned historian, she arrives only to discover he’s missing. Apparently, his disappearance is connected to the recent discovery of a mysterious underground chapel from the Crusades, but how? And who is trying to stop Sylvie from unveiling the truth? Save your uncle and be the first to discover the long forgotten secrets of the famed Knights Hospitaller order! 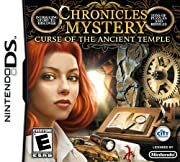 Chronicles of Mystery: Curse of the Ancient Temple (Nintendo DS) is a game created specifically for the DS System, combining features of classic point and click adventure, logic games and hidden object games. It was released last week, and is ESRB rated E for Everyone. Thanks to stylish visuals, heart-pounding interrogations, and unique touch game play, be prepared to feel like a real CSI detective in CSI Deadly Intent: The Hidden Cases. For the first time, team up with new characters Ray Langston (Laurence Fishburne) and Riley Adams (Lauren Lee Smith). Put your expertise to the test as you have deeper control of the investigation thanks to an enhanced questioning system and game mechanics ideally suited for Nintendo DS. Perform delicate evidence extractions, dust for fingerprints, search for valuable information, and much more. Interview suspects, or bring them in for dramatic interrogations. Analyze evidence with all-new mini-games, including DNA analysis, molecular analysis, fingerprint matching, and many more. 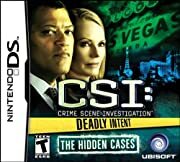 CSI Deadly Intent: The Hidden Cases (Nintendo DS) was released last week, and is ESRB rated T for Teen. Versions of this game are also available for other gaming platforms: CSI Deadly Intent: The Hidden Cases (Nintendo Wii), CSI Deadly Intent: The Hidden Cases (Xbox 360), and CSI Deadly Intent: The Hidden Cases (Windows PC). 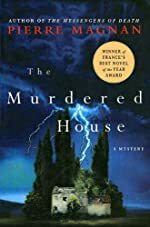 The Hidden Staircase Mystery Books recently updated its list of November 2009 hardcover mysteries as well shelved new November paperbacks on The Mystery Bookshelf. In this post, which we're calling Firsts on the 1st, we're introducing readers to new series characters who will make their debut during November. What we know about the character: Daphne du Maurier is the English author and playright, here as a young woman and amateur sleuth. Her first case: Walking on the cliffs in Cornwall, she stumbles upon the drowned body of a beautiful woman, dressed only in a nightgown, her hair strewn along the rocks, her eyes gazing up to the heavens. Daphne soon learns that the mysterious woman was engaged to marry Lord Hartley of Padthaway, an Elizabethan mansion full of intriguing secrets. 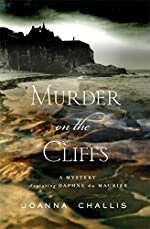 As the daughter of the famous Sir Gerald du Maurier, Daphne is welcomed into the Hartley home, but when the drowning turns out to be murder, Daphne determines to get to the bottom of the mysteries of Padthaway—in part to find fresh inspiration for her writing, and in part because she cannot resist the allure of grand houses and long buried secrets. What we know about the characters: Vincent Saldona and Jeffrey "Mullet" Mendes, former South Africa police officers, are private investigators in Cape Town. Their first case: Involved in seemingly different cases, Jeffrey is hired by the wife of an adulterous financial consultant, while Vincent is contracted to find out who is stealing from an abalone farm. But the two cases converge, and the mastermind behind them both is a mesmerizing international gangster. What we know about the characters: Harry Corbin and Adele Bentibi are NYPD homicide detectives. 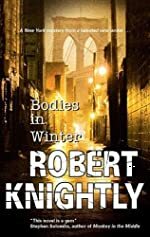 Their first case: On a cold winter's morning in New York, NYPD detective Harry Corbin and his partner Adele Bentibi arrive at the scene of a murder. It looks like a cut-and-dried case but, as Corbin and Bentibi investigate, they uncover a murky world of bent cops and cover-ups that puts both of their careers and their lives in serious danger. What we know about the character: Seraphin Monge is a young man who seeks the identity of his murdered parents. What we know about the character: Billy Blessing is the host of a cooking show on morning television. His first case: Network TV can be murder. Just ask Billy Blessing, famous for his smile, charm, and ability to survive the shark tank that is high-stakes morning TV. But though Billy has outlived his fair share of prima-donnas, his cooking segment on Wake Up America! is a staple of the American diet, and his Manhattan bistro is a mega-success, his career has just taken a very dangerous turn: His show’s perky cohost, Gin McCauley, has launched into some brass-knuckles contract negotiations. A visiting Mossad agent is about to tell all on the air. And then the network’s head honcho is murdered in his luxury apartment, and an ambitious D.A. decides that Billy is to blame. Billy knows that someone’s trying to frame him. He also knows that a ruthless international assassin has just arrived in New York City. And suddenly, for the most trusted guy on TV the ultimate career move is not about ratings. It’s about staying alive—and stopping the next murder from becoming tomorrow’s breaking news. What we know about the character: DCI Monkia Paniatowski is a protégé of Scotland Yard DCI Charlie Woodend (a character in the author's other series). 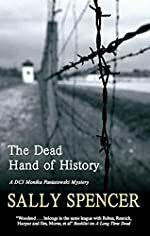 Her first case: It will be no easy task to fill DCI Charlie Woodend's shoes, the newly-promoted Monika Paniatowski tells herself, but, given a little time, she thinks she can grow into them. Yet, with the discovery of a severed hand, time is the one thing she does not have. When her colleagues prove untrustworthy, the urge to call Woodend for help becomes almost irresistible. For a list of more mysteries scheduled for publication during November, please visit our New Mysteries home page. If you're interested in new paperbacks, visit The Mystery Bookshelf where you can discover a library of new mysteries, also updated with November 2009 releases. At scenic Clareton Manor, a bucolic South Carolina wellness spa, a weekend of relaxation and rejuvination comes to a deadly halt for one guest. Harvey Ruger was a pain in everybody's neck—arrogant, self-serving and apparently determined to interfere in the sea of tranquility and bliss the myriad guests were anticipating. Which is probably why somebody killed him. The spa's owner, Erika Bischoff, had invited an old friend, retired detective Molly May, for a special getaway to soothe the soul—unfortunately now it's becoming a working weekend. But well-seasoned and experienced Molly knows her way around crime scenes and immediately spots some clues apparently overlooked by the local law. But with so many suspects and a growing list of motives, the dark secrets at the heart of the crime may be shared by more than just one among the spa's well-heeled guests. A series of perversely arranged murders seems to be connected to the wealthy friends and alumni of the elite Eastern Friends School in Pennsylvania. English teacher Maxwell Hunter has a knack for understanding literature's mysteries with all their red herrings and odd clues, and he offers his unofficial help to the investigating detective. 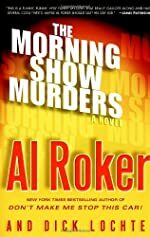 It's an offer that the tough, no-nonsense Lieutenant Frank DiSalvo finally accepts when clues at the crime scene point to an intricate cat and mouse game. The killer is playing with bits and pieces of classic literature: a coin found in a dead woman's mouth; ashes marking another victim's face; a yearbook picture marked with a green dollar sign. Shocking as the crimes may be, the truth proves far more explosive as Hunter realizes the lessons he's taught in class for years are now being played out in spilled blood. Life for aspiring poet Geneva Anderson—working on her craft out of International House, the University of Chicago's creative melting pot—suddenly takes an ominous turn when she finds the body of her beloved aunt Victoria, brutally murdered. Geneva is stunned upon learning she is the sole heir to her aunt's million-dollar fortune. How did she get that kind of money on her salary as director of International House? And was it this secret fortune that got her killed? When Geneva's massive inheritance makes her the primary suspect in the case, she starts digging into her aunt's past and finds a tangle of blackmail, suicide and madness—and another victim. But to clear her name, she must find the one person who wanted Victoria dead for reasons that had nothing to do with money—and everything to do with revenge. Read our review of The Poetry of Murder by Bernadette Steele. If you enjoy the books in this series, you can join Worldwide Mystery and get 2 free books plus 2 free gifts just for giving the automatic program a try. Accepting your two free Worldwide Mystery books and mystery gifts places you under no obligation to buy anything. You may keep the books and gifts and return the shipping statement marked cancel. If you do not cancel, about two months later, and then every other month, eHarlequin will send you three additional Worldwide Mystery books. From the moment sixteen-year-old Madison Grant is abducted, an unthinkable terrorist plot is set in motion—pitting Special Agent Kelly Jones against her most powerful adversary yet. The kidnapper's ransom demands aren't monetary … they come at a cost that no American can afford to pay. As Kelly's fiancé, Jake Riley, races to find Madison, Kelly is assigned to another disturbing case: the murder and dismemberment of a senator. At first the two cases don't appear to be related. But as Kelly navigates her way through the darkest communities of America—from skinheads to biker gangs to border militias—she discovers a horrible truth. A shadowy figure who calls himself The Gatekeeper is uniting hate groups, opening the door to the worst homegrown attack in American history. An Audi sports car, speeding in the wrong lane, forces an oncoming van off the road. The van bursts into flames, killing all nine occupants … eight of them children. Criminal defense attorney Harrison J. Walker, known simply as Jaywalker, is trying to keep his nose clean while serving a three-year suspension. But when a woman seduces him into representing the "Audi Assassin," a man who also happens to be her husband, things get messy. Struggling with the moral issues surrounding this case, Jaywalker tries to stay focused on his goal—limiting the damage to his client by exposing the legal system's hypocrisy regarding drunk driving. But when he rounds a blind corner in the case, he collides with a truth that could turn his entire defense into disaster. Then a woman with ties to Ian is found brutally slain and, unbelievably, the police make him their prime suspect. At first determined to prove her husband's innocence, Jane cannot escape her own growing doubts. Then her nightmare escalates. She begins receiving anonymous messages and quickly becomes convinced they're from him—the boater she always believed deliberately hit her and got away with it. Now Jane must face a terrifying truth. Her tormentor knows everything about her—her likes, her dislikes, her daily routine and, most frightening of all, her deepest fears. And he will use them mercilessly until he sees Jane dead. Mysterious Reviews, mysteries reviewed by the Hidden Staircase Mystery Books, is publishing a new review of Death of a Cure by Steven H. Jackson. For our blog readers, we are printing it first here in advance of its publication on our website. Review: Marine surgeon Thomas Briggs returns home to investigate the circumstances surrounding his brother's death in Death of a Cure, the first book in this series by Steven H. Jackson. Dr. Ronald Briggs' death is officially listed as a suicide. Thomas Briggs realizes he can't be completely objective here, but he doesn't believe his brother ended his life, or even that it was an accident. The investigating detective also seems to have his doubts. "I can't officially let you look at or have this list [of your brother's known associates]," he says to Briggs. "But then again, the copy you are holding might not make it back into this folder -- we don't log copies." Ronald Briggs had been a lead researcher for a medical foundation dedicated to finding a cure for CID, and though great progress had been made, a cure seemed elusive. His death would appear to be a setback for the foundation and the medical community. Thomas Briggs quickly learns, however, that a charitable research foundation is not just a not-for-profit organization, but big -- really big -- business. And not unlike its for-profit brethren, it must sometimes employ ruthless means to achieve its objectives. Death of a Cure is less of a plot-driven novel than a character-driven one. But what a terrific character it is. In a book world full of cookie-cutter characters, most of which are so generic as to be interchangeable with those in the adjacent book on the shelf with little loss of continuity, Thomas Briggs is refreshingly different. He doesn't err on the side of being politically correct, but he's not insensitive either. He's often cynical but always realistic. He's not ill-tempered but doesn't "suffer fools gladly". He's a strong ally, fierce adversary, and good friend. But the plot isn't as solid as its principal character. 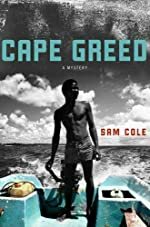 The book itself is far too long, and could have been tightened considerably (which would also have the added benefit of upping the suspense level), but the rapid pacing makes this minor criticism somewhat debatable. What is disappointing is that Briggs doesn't exactly solve the case, but essentially has the solution handed to him in a "let me tell you everything before I kill you"-type confrontation. He's more clever than that, and deserves a better resolution. Still, the development of a strong, appealing character in a first book bodes well for later installments in the series. Special thanks to Telemachus Press for providing a copy of Death of a Cure for this review. 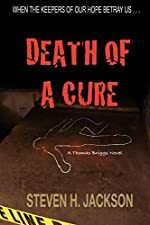 If you are interested in purchasing Death of a Cure from Amazon.com, please click the button to the right. Death of a Cure (Kindle edition) is also available. Learn more about the Kindle, Amazon's Wireless Reading Device. The 2009 National Best Book Award winners have been announced by USA Book News. These awards honor outstanding books from mainstream and independent publishers, and are given in over 150 categories. The launch of Titanic II is set to mark the 100th anniversary of the original ship. But a mysterious adversary has hidden a bomb aboard the new ocean liner. 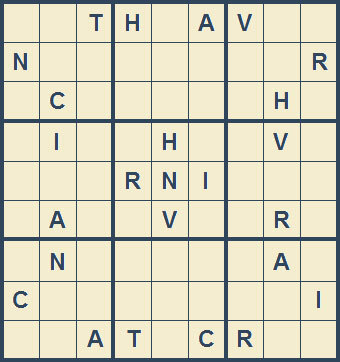 You are the sole person who can find out where the bomb is hidden and save the ship and all aboard! Search for hidden objects in unique locations around the majestic ship, discover hidden diary entries and other clues to reveal the bomb's location. Along the way you'll interact with different characters to learn little-known secrets of the original Titanic, and solve a century old mystery from that ill-fated voyage. 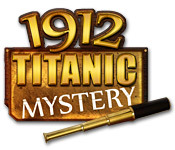 1912 Titanic Mystery may be downloaded and purchased for $6.99 with a Big Fish Game Club membership. A demonstration version (65.31 MB) may be downloaded and played for free for one hour.